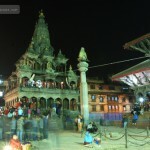 It is the participation of people which preserves the culture, and in this run public of Patan are ahead. 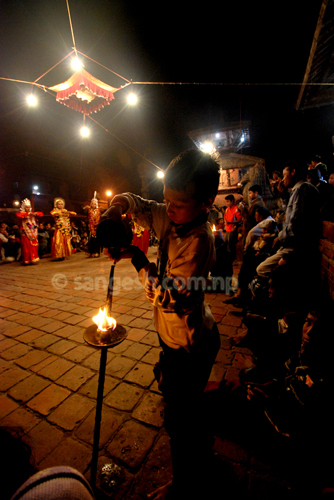 Kartik Naach is one of Patan’s unique culture. 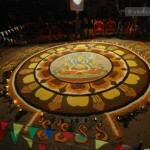 This is a performing artwhich contains some moral stories and Hindu stories and traditional music. It had begun from 12th November 2010. 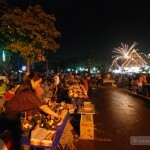 This festival will be celebrated till 19th November 2010. This year I am going to miss the last day of the show. 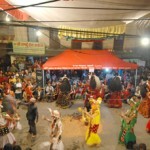 If anyone is interested to know more about this festival then you have to visit Mangal Bazaar at around 8 p.m. The last day of the show is really interesting and it makes you feel proud of being a citizen of a country which is rich in its culture. 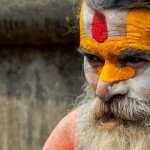 I think the world has to admit that Nepal is really a country which is rich in culture. 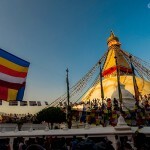 I have been able to observe only few cultural events of the Newar community; and there are still many events celebrated at different parts of the country by different ethnic groups. 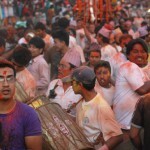 Until and unless kids participate in such events, these events will never vanish.